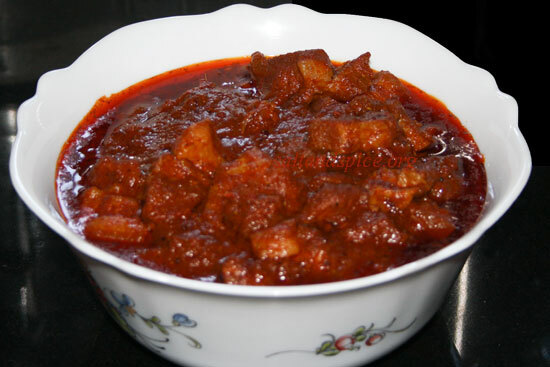 ‘Pork Vindaloo’ is a Kerala and Goan Christian specialty. 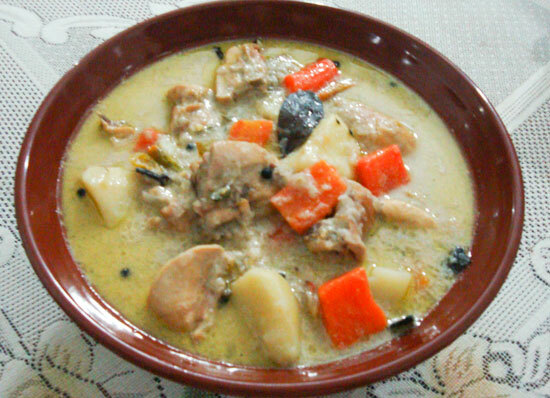 It is a very spicy and tangy dish which tastes better as it sits. 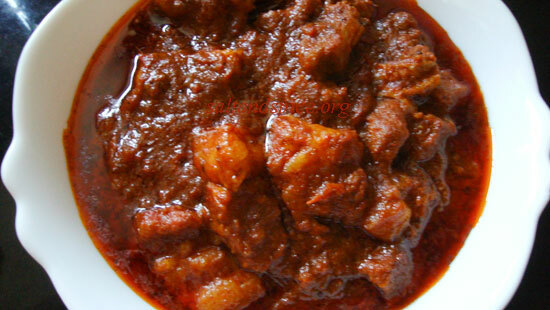 ‘Pork Vindaloo’ can be served with rice, pulao, appam, sannas, parathas or bread. Grind the ingredients to a fine paste. Add this paste to the pork pieces. Add salt and mix well. Keep aside for 2 hrs. Heat oil in a pressure cooker and fry the onions till light brown in color. Add tomatoes and fry till oil separates. Now add the marinated pork pieces and fry for a minute. Add 1/2 cup of water and mix well. Cover and cook on a low flame for 20 minutes after the first whistle or till done. Once it is cool, open the lid and simmer for 5 minutes, till the gravy is thick. Lip-smacking ‘Pork Vindaloo’ is now ready to be served. Try it this Christmas…I am sure you will love it! Wishing you and family Merry Christmas and Happy New year Lissie, I am not blogging till after New years. 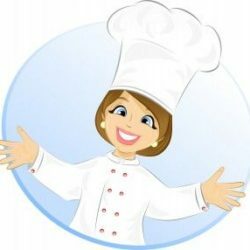 Going to send this link to sis as she has been asking for a good recipe. I will be sure add a link to this website on my page. I’m sure my followers will find this article really useful. 2. I have seen cinnamon, whole black pepper and cloves in the vindaloo I have had in Goa…. Do we need that? 3. Ginger garlic paste – what is the ratio of Ginger to garlic? 5. Can we please also have the sannas recipe – to serve with the vindaloo! Very good Recipe. I always follow this when I make vindaloo. Turns out very well every time.